Wearing a Christmas jumper is a timeless classic, better if decorated with Christmas motifs such as snowflakes and snowmen. Do you remember the sweater worn by Colin Firth in the Bridget Jones’s Diary? Memorable scene by now, as well as the sweater, a real christmas “kitsch” icon (if you want to see it again, find an excerpt here!). The tradition of wearing a Christmas jumper is typically Anglo-Saxon, but as festivities get closer, in everyone grows the desire to have fun and to take ourselves less seriously with a sweater that is both witty and trendy. With this easy tutorial, we offer you a creative and original idea to customize your Christmas jumper, recycling left over yarns! 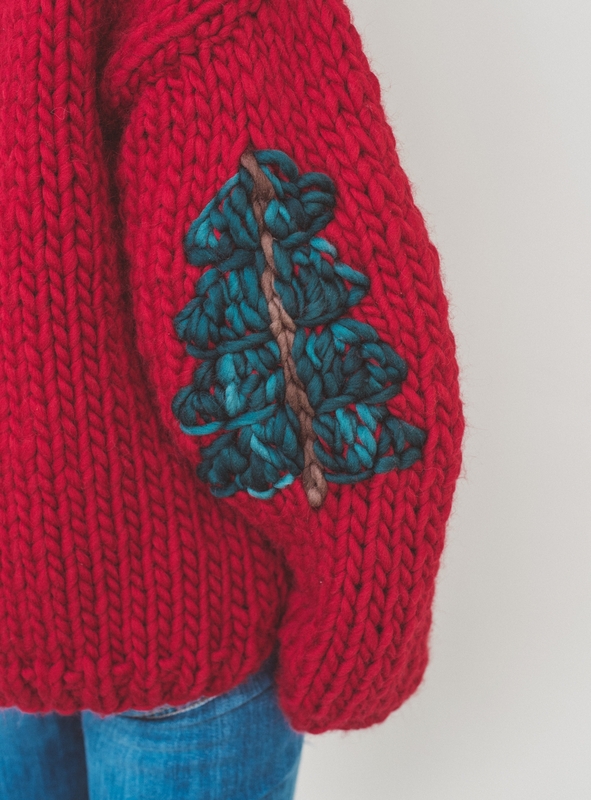 You will embroider some “patches” on the sleeves of your red “Forever Sweater”! What do you need to customize a Christmas jumper? 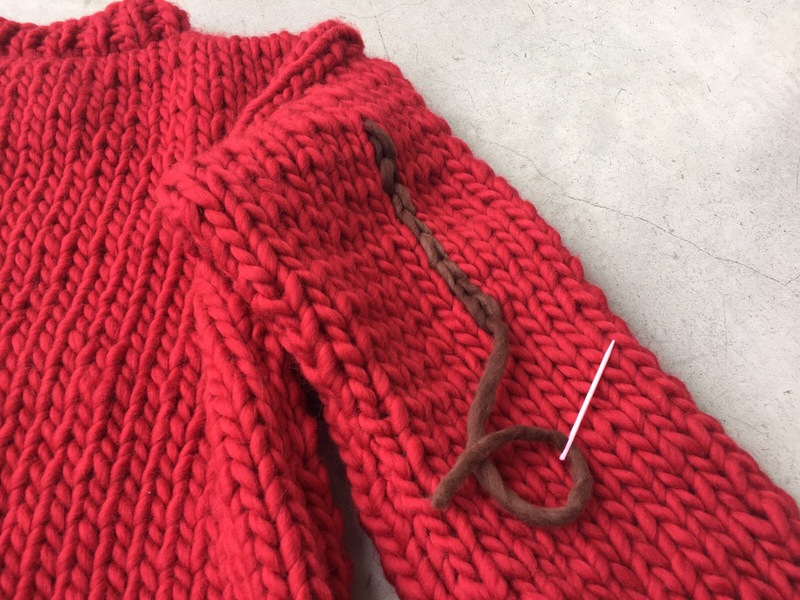 With a sewing needle, and the Chocolate Color yarn, make a vertical line in chain stitch on the center of one sleeve. This will be the trunk of your fir tree. 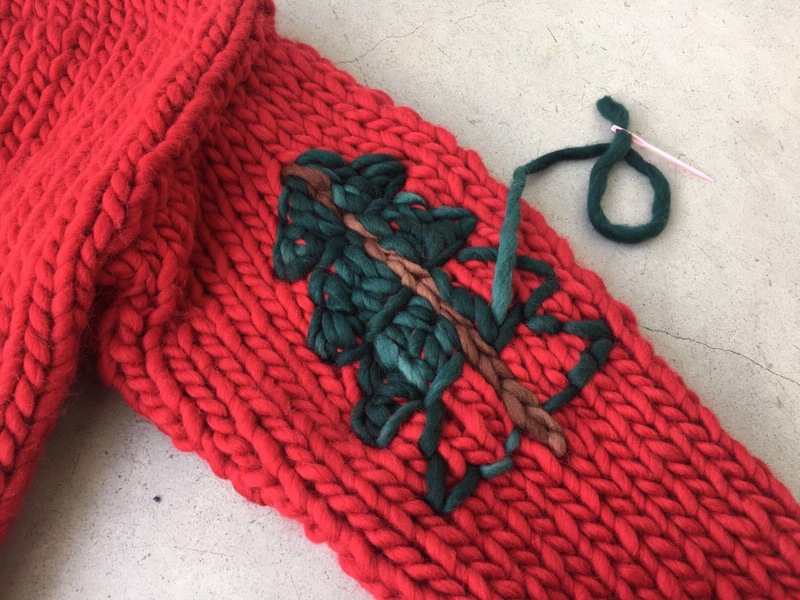 With the Forest Green yarn, proceed to embroider the profile and the inside of the fir tree, in hem stitch. That’s it! It’s very simple, it will take only 10 minutes to customize your Christmas jumper. You will amaze and have fun with a unique and personalized Christmas Jumper! 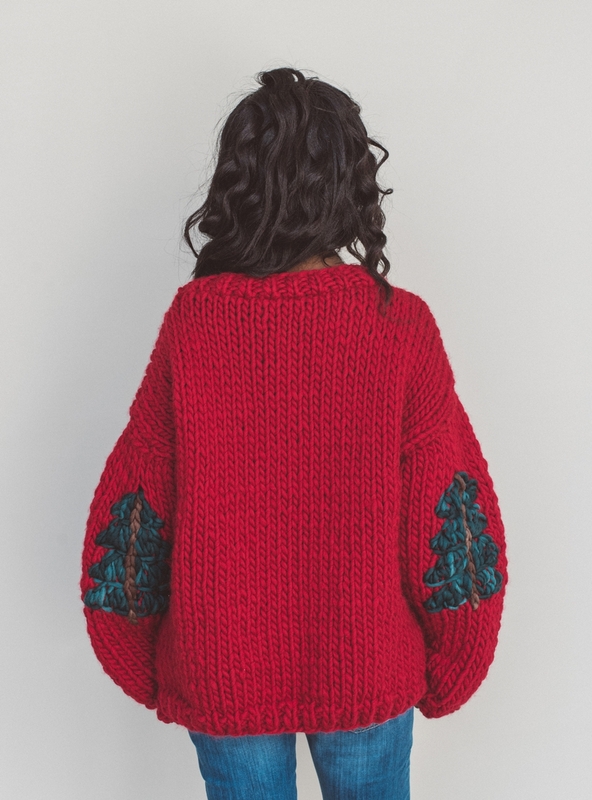 And once Christmas is over, if you want, you can undo the embroidery and transform your Christmas sweater into a fashionable and iconic knits to be worn all year long! Remember! On December 15th, it’s the Save The Children’s “Christmas Jumper Day”! 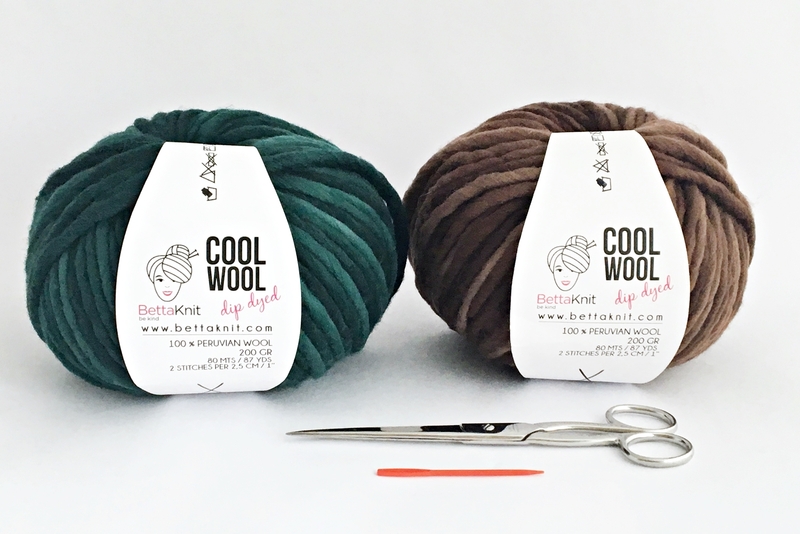 Give a look here and be ready with your own Bettaknit Christmas Jumper! We are curious to see you overdressed up for the festivities: share a picture on Instagram with the hashtags #bettaknit and #ChristmasJumperDay!